/FAQ /How can I add a summary page at the end of my survey? A Summary Page contains all of the questions in your survey as well as the participant’s chosen answers. 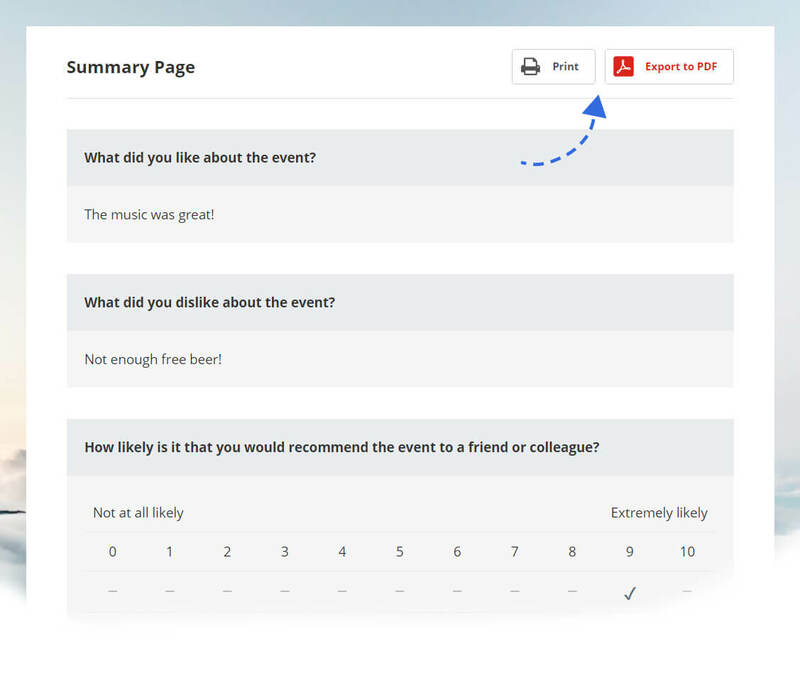 You can activate the Summary Page for your survey in the Collector Settings under the section “Show answer summary page”. 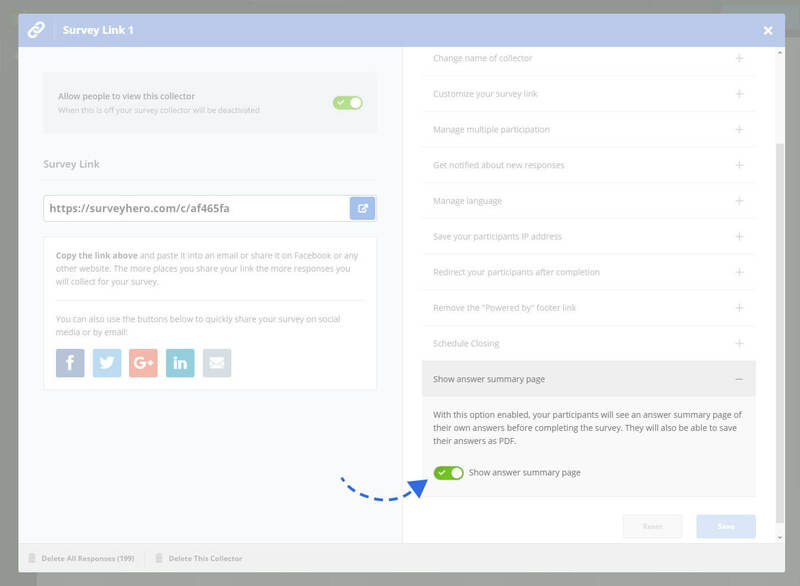 When this option is active the Summary Page will be shown at the end of your survey just before the participant submits their answers. Participants will be able to print or create a PDF export of a nicely formatted version of the Summary Page. It will clearly display each question and show which answers they have given.